Century Cycles Blog: It's National Bike Month! 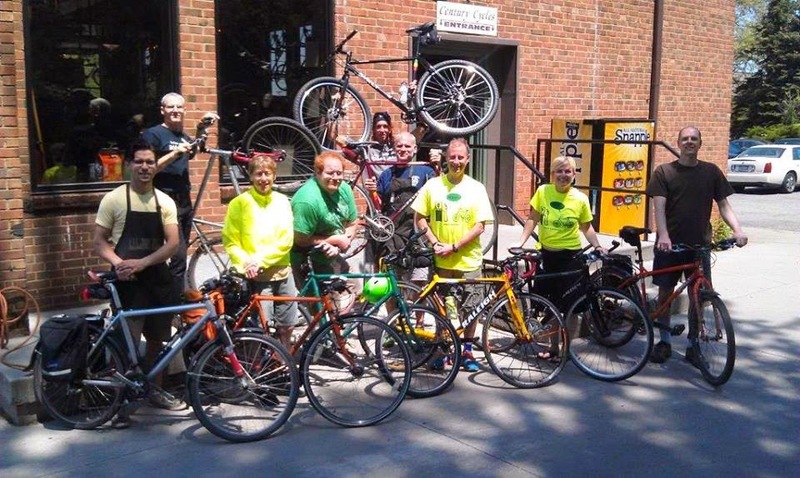 May is National Bike Month, and Century Cycles, in conjunction with Bike Cleveland and the League of American Bicyclists have a full schedule of events to celebrate and help get more people on bikes! May 1 - The National Bike Challenge officially begins! This friendly competition awards points for every mile and every day that you ride. Your points are tallied and compared against others in your region, your workplace, plus you can also create or join your own team! Don't have a team of your own? You can join the Century Cycles team! And, every time you ride helps us claim the Rust Crown, which pits Cleveland against Pittsburgh to see who can ride the most from now through the end of September! It's not too late to sign up, just go to www.nationalbikechallenge.org! May 4 - Century Cycles Sunday Services Group Road Bike Ride in Peninsula, a beginner-friendly no-drop 18-mile loop around the Cuyahoga Valley. May 5 - The Century Cycles Bike To School Challenge begins at Bay Middle School, Rocky River Middle School, A.I Root Middle School in Medina, and Claggett Middle School in Medina. May 10-11 - Tour of the Scioto River Valley, the original multi-day supported bike tour returns for its 53rd edition! Look for the Century Cycles support van, plus our table at the bike expo in Columbus on May 9! May 11 - Century Cycles Sunday Services Group Road Bike Ride in Rocky River. May 18 - Century Cycles Sunday Services Group Road Bike Ride in Medina. May 18 - First Annual Bike to the Ballpark. Ride your bike to Progressive Field to see the Cleveland Indians take on the Oakland A's! Check out the Bike Cleveland Events Page for many more cycling events in your area and more!